Whether you’re searching for a fast-paced vacation spot or a leisurely place to retire, Lake Ozark is the ideal destination. As the Midwest’s premier recreational attraction, the Lake of the Ozarks truly offers fun for everyone. The lake is known for year-round fishing, boating and water skiing. Additionally, the shopping, restaurants and nightlife are second to none. With the state’s best natural scenery, you’ll always be discovering something new. Once you come for a visit, you’ll want to stay for a lifetime. While Lake Ozark is our home, know that the entire state of Missouri is our backyard. Our range spans across the great state; from the plains in the north to the Ozark highlands in the south. Enjoy reading on about the many treasures in the Missouri Ozarks, although wherever you choose, a beautiful life awaits you in the heartland of America, Missouri. Lake Ozark is located in Miller and Camden Counties. Construction on Bagnell Dam began in 1929 and was completed in 1931. The 2,543-foot-long dam impounded the Osage River, thus creating the Lake of the Ozarks. At the time it was built, the lake was one of the world’s largest man-made lakes, measuring over 90 miles in length with 1,100 miles of shoreline in four different counties. The Missouri General Assembly officially named it Lake Benton, after the former senator Thomas Hart Benton, but it was more often referred to by its location in the northern Ozarks. Lake Ozark experiences a humid subtropical climate with thunder storms common throughout the year. Average summer temperatures rise to around 89 degrees, with winter lows dropping to about 23. School of the Osage serves the students of Lake Ozark. The district operates two elementary schools, one middle school and one high school. Columbia College and State Fair Community college also have campuses in Lake Ozark. Medical needs are served by Lake Regional Hospital, boasting 116 beds and 90 physicians specializing in a wide range of disciplines. Public boat ramps can be found at Lake of the Ozark State Park, Sunrise Beach, Bagnell Dam and other places around the lake. A number of campgrounds, resorts and marinas also provide boat and personal watercraft rentals. Take a chartered cruise or enjoy the stay on a house boat. Professional fishing guides can help you find the lake’s most fertile hotbeds. Crappie, walleye, striper, various types of bass and catfish are among the most plentiful. Bagnell Dam Strip, locally known as “the strip,” offers a unique shopping experience. A variety of stores provide everything from designer clothing to the rarest of antiques, collectables and works of art. Mini golf, batting cages, arcades and other amusements can also be found along the strip. Choose from a vast selection of lakeside restaurants and bars, as well. 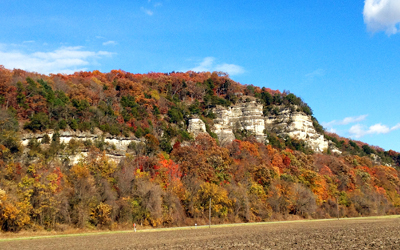 The natural scenery in the Missouri Ozarks is nothing short of spectacular. Admire the subterranean beauty of Bridal Cave, hidden deep below Thunder Mountain. Gaze upon the ruins of a European-style castle perched high atop a bluff at Ha Ha Tonka State park. Enjoy an afternoon picnic, or explore the park’s many trails. Are you looking for a wooded hunting tract, timber investment, lush pasture for cattle, a lakefront home or bed-and-breakfast? If you’re ready to experience Lake Ozark for yourself, contact United Country Land and Lake Properties. 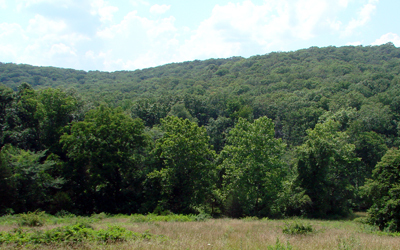 As specialists in farms, recreational and commercial real estate, we can help you find your freedom in the Missouri Ozarks.